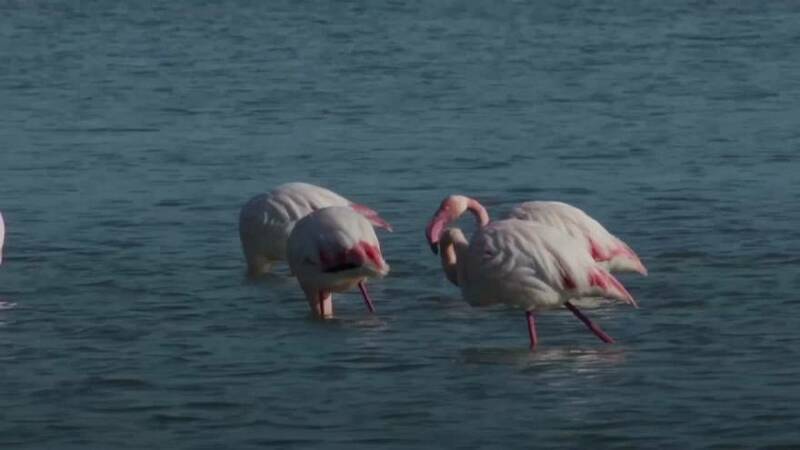 Greater Flamingo, the largest of six species of the pink birds, have returned en masse to Cyprus. Flamingos return each winter to feed on shrimp in Cyprus' salt lakes. Heavy rain has changed the lakes' salinity but it's not accurate to attribute dwindling numbers to that, as the numbers vary quite naturally year on year. The pink birds fly to the small Mediterranean island from their breeding grounds in the Middle East and southern Europe – mainly Turkey, Iran, Israel, France and Spain, according to BirdLife Cyprus. If water levels are not high enough, they fly on to African wetlands. In recent years, extended droughts in the region have led to the birds to skip Cyprus altogether.